You might be surprised at what awaits you in rural Europe. Visitors attracted to Italy's Cinque Terre often cite the rural experience that made their vacations special; they come home enamored with the local friendliness, the good food at small, local restaurants, as well as the frequent hometown festivals and religious processions that are normally absent from big city or beach vacations. What they don't know, of course, is that these things happen not just in the Cinque Terre, but all over rural Italy, and indeed, throughout Europe. Here are some recommended rural destinations. Way up in the northeast corner of Spain there is a mostly rural land of prehistoric painted caves, friendly locals, and hard cider. It's a land rich in rural tradition, with the interesting medieval architecture you'll find along ancient pilgrimage routes, in this case, the routes from France to Santiago de Compostella in Spain. For those who can't take the heat, the northern coast of Spain offers weather moderated by the ocean and mountains of this fascinating rural destination. Hike the Picos de Europa, visit a few caves, have a nibble of the local Cabrales cheese and some cider on the veranda of your Casa Rural and have a chill-out blast. One of the best ways to discover rural territories almost guaranteed to have good tourism infrastructure is to visit a wine region. Austrian wine isn't well known outside of Europe, but the wine regions in the east of the country offer a chance to discover these tasty gems in a rural environment spread around a big city, Vienna. You might try hanging out at Neusiedler Lake, a popular Viennese recreation area that includes a bird sanctuary; the cultural landscape is a UNESCO World Heritage Site. Mountain villages south of Coimbra, once almost abandoned, are now coming back to life with tourist infrastructure added. Great for mountain bikers, hikers and foodies who love hearty country fare. There are even some special paths for blind travelers to experience the villages with little or no assistance. Spend a few days in a friendly bed and breakfast like the Casa do Ze Sapateiro, the House of the Shoemaker, where you can experience the joys of country life with others who do too​ and in a country house with excellent cooks. From there it's a short jaunt to another very rural vacation spot called Penhas Douradas, the Golden Crags. South of Arles is the Rhone delta and an area called the Camargue. It's the French cowboy country, producing the unique Camargue bull as well as rice and salt from this interesting region that includes a famous bird sanctuary called Parc Ornithologique de Pont de Grau. Yes, in summer Provence is teaming with tourists and it's well known by everyone. Still, the towns are small and rural, and people still live in them. Try the Luberon, for example, in the offseason. Take long walks in the country, then go to the markets and take something home to your vacation rental for dinner. Then, before dinner, head out to the local watering hole for your pastis. You'll fit right in. Don't want to cook? Then head for your local restaurant for some country food, maybe to Cafe Gaby for the Aioli. Isolated by its mountainous terrain, the hearty souls who inhabit this historic territory have fiercely defended their way of life over the years. You eat local and very well, and the hill towns and castles (160 of them!) will provide weeks of eye candy. If you have a car and don't mind narrow, winding roads, check out this up-and-coming Italian destination. In for some rural vineyard walking? The famous Hermitage vineyards in the northern Cotes du Rhone offer some of the most inspiring vineyard walks and views. Walk the terraces and get some great river views, eat the great food wine regions are noted for, and enjoy the south of France. You can reach the region by train, something difficult in other rural places. Explore a rugged mountain landscape in the north of Italy, where you can still find houses with stone slab roofs, hotels with trout fishing, a town full of murals, and rural border fortresses. Val Chisone was part of the winter sports at the 2006 Winter Olympics, so if you like to travel for winter sports, you can do that here as well. When it warms up, you can explore the tredici lagi or thirteen lakes, a popular wildlife area in the summer. Yes, another rural wine region, this one in the southwest corner of Germany, featuring small towns with half-timbered houses sandwiched between rolling vineyards. If you ever thought German food wasn't as good as the cuisines of the surrounding countries, just pull up a chair at just about any restaurant in the Pfalz and dig in—your prejudices will melt away pronto. Prices are reasonable here as well. So, look for a zimmer frei and have a stay here a while for your rural wine experience. The best lakes in Europe are listed in this article, all of them in interesting rural environments, from a lake in Italy associated with the composer Puccini to an idyllic lake in Austria that's a funicular ride from some ancient salt mines you can visit. Crete is Greece's largest island. There are some larger towns lining the north coast, but most of the island is rural and charming. Take a walk around the Lassithi Plateau loop to get the full rural experience. 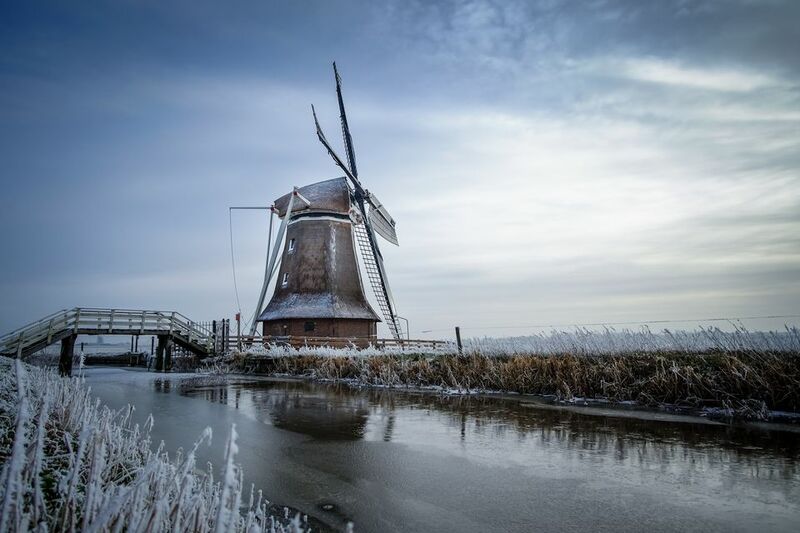 Famous for its 11 cities "run-it-when-the-ice-is-thick-enough canal skating race called Elfstedentocht, this rural part of northern Netherlands is ideal for the walker, skater, and biker who can visit medieval town centers and historic port cities in a variety of ways. Where else can you think of where "mud flat walking" is a notable thing to do?